Here at Eastgate we believe in saving the environment from pollution and waste, that's why we look into the future in finding the latest materials to make all of our products from recycled and reclaimed materials. 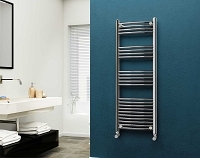 Working close with our manufactures we design and produce some of the very best towel rails and radiators on the market, we believe that you don't need new materials make a work of art for your home. All of our Aluminium, stainless steel and steel products are made from recycled materials with a guarantee that stands with the confidence of our products. We take pride and enjoyment in helping our customers fulfilling their shopping experience with us, our customers are very important to us. This being said we have a 24/7 helpline in the form of live chat which is totally free and convenient to use and a customer care team waiting for your call from 8:00 am - 6:00 pm week days. If you would like to be part of our family and help our planet and share our enthusiasm please purchase one of our products and see for yourself why its best to go green. To give you a better idea about our products, we compiled a vast amount of feedback from people we invited to look at the vast variety of our products and asked them for their feedback and thoughts. We used this information in our product descriptions to better describe all of our products so you can get a better understand of the item(s) description.We find this important to describe the products as much as we can and what batter way to get the general public to give their input. You can also see the reviews about an item on our website from previous customer purchases.